the Strong Silhouette And Intricate Details Of The Old Havana Epitomize Old World Class And Sophistication. 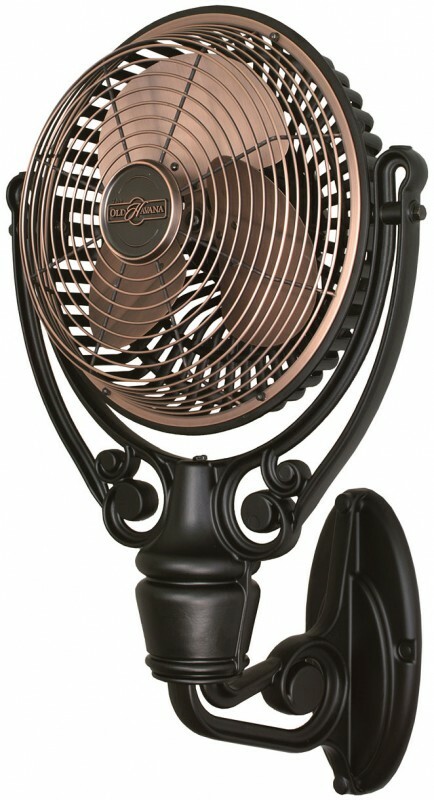 The Old Havana Has An Antique Style That Is Reminiscent Of A Time When People Relied Solely On Fans To Stay Cool. Although The Old Havana?s Historic Look Would Make Its Pre-air Conditioning Predecessors Proud, Its Modern Engineering Allows This Fan To Operate On Three Speeds In Both Dry And Damp Locations. The Old Havana Has Several Mounting Options Which Include A Black Pedestal Base, Black Floor/desk Mount And A Black Ceiling Mount. The Old Havana Is Available In Antique Copper With Black And Pewter Finish For Dry Locations And Black And Rust Finish For Damp Locations.